Facing the problem of playing MTS files on your PC and uploading such videos to the internet? Any Video Converter comes to the rescue! Any Video Converter is one of the best MTS Video Converter which can convert MTS to almost all popular video formats (AVI, MP4, MKV, WMV, FLV, 3GP, etc. ), audio formats (MP3, WMA, WAV, etc. ), HD video (MKV HD, MPEG-TS, MP4 HD, etc.) 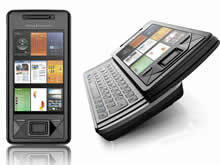 and mobile devices (iPod, iPhone, PSP, Zune, Xbox, etc.). Of course, if you need to edit the video before converting, this MTS Video Converter is also a good helper which provides not only convert MTS to AVI, WMV, MKV, MP4, 3GP, 3G2, but also plentiful editing functions including cropping video dimension, trimming file length, adjust playing effects, etc. Convert HD MTS video and watch it on the go! 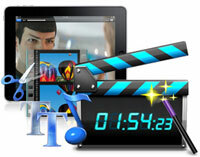 Video: M2TS, MTS, TOD, HD MKV, HD H.264/MPEG-4 AVC, HD MPEG-2, TS, TP, M2T, etc. 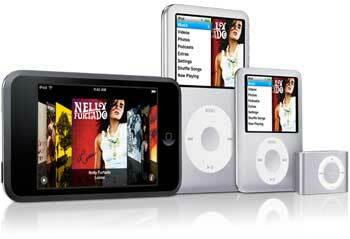 Portable Player: iPad, iPod, iPhone, Apple TV, PS3, Wii, Zune, Xbox, iRiver, BlackBerry, etc. HD Camcorder: Canon, Panasonic, Sony, JVC, Sanyo, Samsung, Casio, DXG, Kodak, etc. How to get HD MTS off HD Video camera/camcorder to PC (ready for converting MTS to AVI, WMV, MKV, MP4, etc)? 1. Connect camcorder to your computer using a USB cable. 2. Select mode of camcorder such as PC/Computer mode. 3. Windows will automatic open Import window. 4. If DVD Player automatic open, just quit DVD Player first. 6. If you select "Manual", you can import some clips to PC. 7. If you import from Tape based device (DV/HDV), Windows will automatic revise tape and import all. 8. Windows automatic create thumbnail video after complete import. How to convert MTS to AVI? Why to convert MTS file into AVI file? AVI format has the advantages that can be played on ordinary and HD-supported players, such as Zune, Archos, PSP, PS3. Besides the AVI files has excellent images and high-quality audio. MTS files are not supported by most PMPs. If you want to enjoy videos recoreded in MTS format, MTS to AVI Converter is a must-have. Well, how to convert AVCHD(.MTS) files to AVI format? Just download this free yet powerful and professional MTS to AVI Converter which can freely convert your MTS files to AVI, supports all kinds of devices like mobiles phone BlackBerry AVI Video(*.avi), Archos AV500/GMini402 Video(*.avi), Creative Zen Vision video(*.avi), iRiver PMP-100 Video(*.avi), etc. How to convert MTS to WMV or WMV HD? Want to enjoy MTS videos shot by Sony, Canon, Panasonic (see supported camcorder) on iPad, iPod, iPhone and more portable devices? It's necessary to get a MTS to MP4 Converter. Any Video Converter is a powerful MTS to MP4 Converter that lets you convert HD video including mts, m2ts AVCHD video to popular PC video formats like AVI, MPEG, WMV, Xvid, MP4, 3GP, etc. 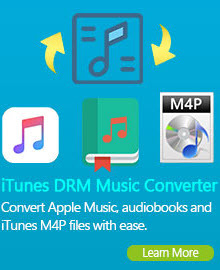 This MTS to MP4 Converter supports convert to all devices's respective formats supported like iPod, iPhone, Apple TV, PSP, Mobile phone. Download this free M2TS to MP4 Convert to try it now! How to convert MTS to MKV? If you want to convert MTS to MKV on Windows, this outstanding MTS to MKV Converter can help you out. With MTS to MKV Converter, you can easily and freely convert MTS video to MKV files, M2TS files to MKV, TS to MKV with original quality or better, no blurry, no subtitles missing. MTS to MKV Converter also supports the mobile Devices such as iPod Touch, iPod Nano, iPod Classic, iPhone, iPhone 3GS, Apple TV, PSP, PS3, Xbox 360, Zune, Archos, Sandisk, iRiver, Creative Zen, PMP, MP4/MP3 Player, Smart Phone, Pocket PC, PDA, Mobile Phone, etc. We also call it MTS MKV Video Converter, MTS to iPod Touch Converter, MTS to iPod Nano Converter, MTS to iPhone 3G Converter, MTS to iPhone 3GS Converter. How to convert MTS to iPad, iPod, iPhone? With MTS Video Converter, you can convert MTS, M2TS, TS to AVI, WMV, MPG, MPEG(1.2.4), MKV, FLV, SWF, 3G2, 3GP, etc. for playback on Sony PSP/Apple iPod/Apple TV/iPhone/ Zune/mobile phone /Palm/ Creative Zen Vision/iriver PMP-100/ Gphone/ BlackBerry /iMovie/ FCP (FCE) etc. 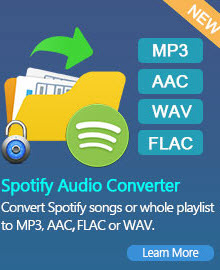 Besides video converting feature, MTS Video Converter also enables you to extract audio from MTS videos and convert MTS to popular audio formats such as MP3, AAC, WMA, M4A, OGG, WAVE. It is worth mentioning that the output format contain difference resolution for different device. For example, MP4 including x264 1280 x 720, h263p 720 x 480, mpeg4 512 x 384, xvid 720 x 432 etc. Which AVCHD video camcorders are supported now by MTS Video Converter? MTS format is a high-definition MPEG, AVC, H.264 transport stream video file format, commonly called "AVCHD;" used by Sony, Panasonic, and other HD camcorders; based on the MPEG-2 transport stream and supports 720p and 1080i HD video formats. AVCHD stands for "Advanced Video Codec High Definition;" the format was jointly established by both Panasonic and Sony in 2006; MTS files can typically be opened and edited using the software included with Sony and Panasonic HD camcorders.